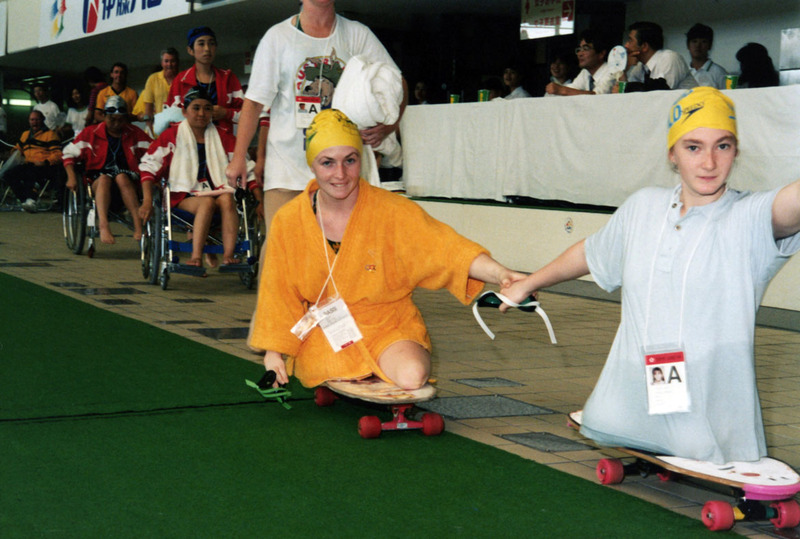 The FESPIC Games, or the Far East and South Pacific Games for the Disabled, was a multi-sports games in Asia and the South Pacific region that was held nine times between 1975 and 2006. In November 1977, the second FESPIC Games was held in Parramatta, NSW. The FESPIC Games was replaced by the Asian Para Games, which commenced in 2010. Australia won 148 medals at the first FESPIC Games, second to host nation Japan in the overall medal count. For its first home multi-sport Games since 1962, the Australian Team was a mixture of experienced athletes and up and coming youngsters. The Australian team of 157 was the largest at the 1982 FESPIC Games in Hong Kong. Australia led the medal winners, with 169 gold, 91 silver and 55 bronze – a total of 315 medals. The Australian Team continued its record of FESPIC Games success in Surakarta, winning 176 medals in total, 104 gold, 44 silver medals and 28 bronze medals. List of the members of the 1986 Australian FESPIC Games team with links to team members’ Wikipedia articles. Australia finished 3rd in the gold medal count in Kobe and 2nd in the total medal count behind a dominant performance by the host nation, Japan. List of the members of the 1989 Australian FESPIC Games Team with links to Team members’ Wikipedia articles. Australia sent a team of more than 100 athletes to the 1994 FESPIC Games in Beijing. List of the members of the 1994 Australian Team for the Beijing FESPIC Games, with links to the members’ Wikipedia articles.